The Tinto Wine Shop is one of the most happening and famous tourist spots in the city owing to its varied selection of wines and cheese plates against a chilled and laid-back atmosphere. The ocean front which the restaurant looks out on provides fresh breeze and the promise of a good time. Ask the waiter for some recommendations. How popular is Tinto Wine Shop? People normally club together The Beer Box and Verde Azul Sup And Eco Tours while planning their visit to Tinto Wine Shop. The owners clearly love what they do and it shows in the quality service and selection they provide. We attended an evening vegan dinner tasting menu and wine pairing (gluten free/celiac was also easily accommodated). Overall the food and wine were excellent. We will certainly be back! Tiffany and Dan are extremely knowledgeable on wine and make you feel like you know everything about wine as well!!! They make you feel relaxed and not "buying the most expensive bottle because it's the best" but actually figuring out, what your eating, what the occasion, what your palate is, then help you select the wine that is perfect for that occasion! Will definitely be headed back shortly!!! Cheers!!! Great selection of wines and spirits. Wines by the glass and fun tastings! Small cute place but packed with great things...awesome service. 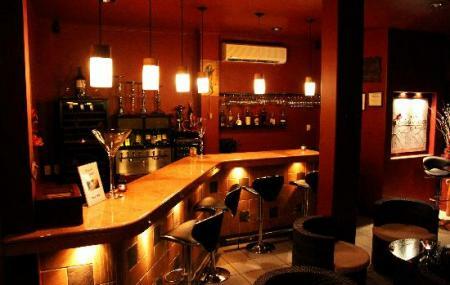 Best place in all of PR for wine - by the glass or by the bottle. Great service by knowledgeable and friendly owners. A must do if anywhere near Rincon.